Why in Firefox does it say "dacast.com is now full screen"? A recent update in Firefox causes the browser to state the origin of the iframe as the source when going full screen. The fix is to change to the JS embed code, found under PUBLISH SETTINGS. 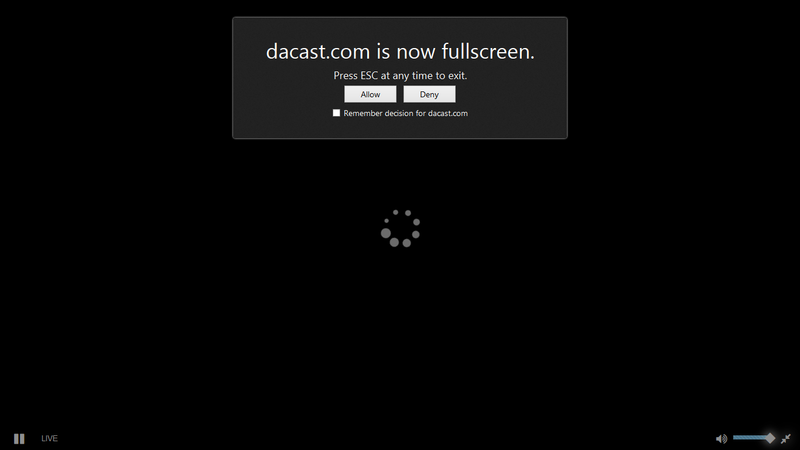 When done it will list your website instead of dacast.com when going full screen.